Did Einstein Not Understand Math? Johnson Claes. Did Einstein Not Understand Math? [Internet]. Version 1. The World As Computation. 2010 Oct 13. Available from: https://claesjohnsonmathscience.wordpress.com/article/did-einstein-not-understand-math-yvfu3xg7d7wt-70/. What can you expect from a mathematical theory developed by someone who did not understand mathematics? How are we going to choose between fact and fiction, between science, pseudo-science and nonsense in the flood of information overwhelming us every day? Well, use your brains! What else? The break-through in the US in 1919. 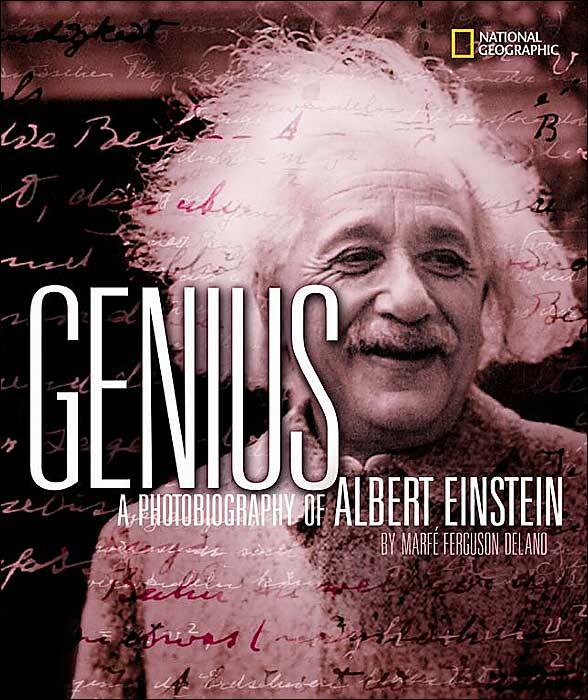 Scientific American once ran a competition offering several thousand dollars for the best explanation of Einstein’s general theory of relativity in three thousand words. “I am the only one in my entire circle of friends who is not entering,” Einstein ruefully remarked. “I don’t believe I could do it”. I don’t understand. Do you? (A) Since nobody understands, the theory is most likely correct and meaningful. (B) Since nobody understands, the theory does not make sense. 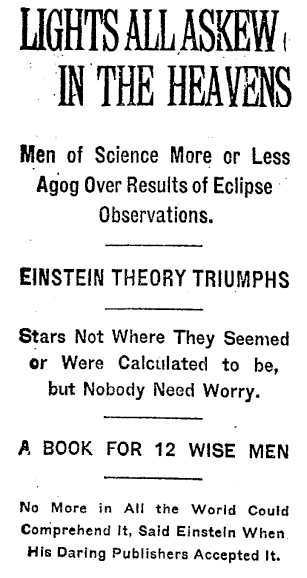 You can find further inspiration on Einstein: Stupid, Unhappy and Lonely. Can Mathematics Really Do Wonders? The supreme task of the physicist is to arrive at those universal elementary laws from which the cosmos can be built up by pure deduction. It is marvelous that man is capable of reaching such a degree of certainty and purity in pure thinking as the Greeks show for the first time to be possible in geometry. One reason why mathematics enjoys special esteem, above all other sciences, is that its laws are absolutely certain and indisputable, while those of other sciences are to some extent debatable and in constant danger of being overthrown by newly disco. But there is another reason for the high repute of mathematics: it is mathematics that offers the exact natural sciences a certain measure of security which, without mathematics, they could not attain. How can it be that mathematics, being after all a product of human thought which is independent of experience, is so admirably appropriate to the objects of reality? Is human reason, then, without experience, merely by taking thought, able to fathom. (A) It is likely to be correct and meaningful. (B) It is likely to be non-sense. It strikes me as unfair, and even bad taste, to select a few individuals for boundless admiration, attributing superhuman powers of mind and character to them. This has been my fate, and the contrast between the popular assessment of my powers and achievements and the reality is grotesque. I don’t believe in mathematics. Here in Princeton I am considered an old fool. The ROYAL SWEDISH ACADEMY of SCIENCES has at its assembly held on November 9, 1921, an accordance with the stipulation in the will and testament of Alfred Nobel, decided to independent of the value that (after eventual confirmation) may be credited to the relativity and gravitational theory bestow the prize that of 1921 is awarded to the person in the field of physics who has made the most important discovery or invention to Albert Einstein for his services to Theoretical Physics, and especially for his discovery of the law of the photoelectric effect. 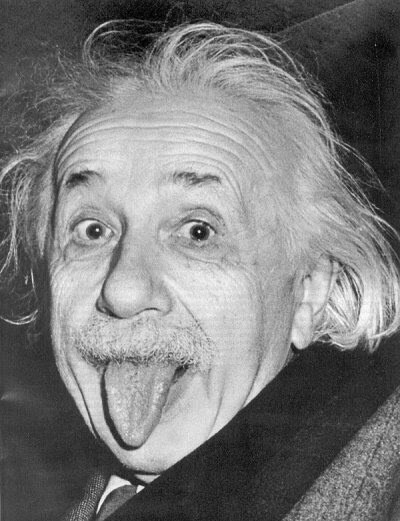 This is the only Prize motivation expressing explicitely for which contribution the Prize is NOT awarded: Relativity! as positivist insofar as he considers his concept and theories justiﬁed only to the extent to which they furnish a logical representation of relations among sensory experience. He may even be viewed as Platonist or Pythagorean insofar as he considers the viewpoint of logical simplicity as an indispensable and eﬀective tool of his research. If you feel you want more information, take a look at Many-Minds Relativity and Mathematics = Magics? You may also ask a physicist/mathematician if he/she really understands relativity theory, and not just pretends to understand. For example, ask for and explanation of curved spacetime. You can also ask if the constancy of the speed of light in vacuum is a definition or a physical fact, see Is One Dollar = One Euro. After this, you might be ready for a conclusion, which you are wellcome to post below. (A) or (B)? Or is it so that we as more or less educated citizens in a more or less democratic society, are not expected to have any opinion, about relativity or other technical matters? Should we simply leave relativity theory to the physicists and technical matters to the specialists, even if they don’t seem to understand, and just pay our tax bills to science and keep quiet?